We were at this exact same viewpoint at 8 AM today. 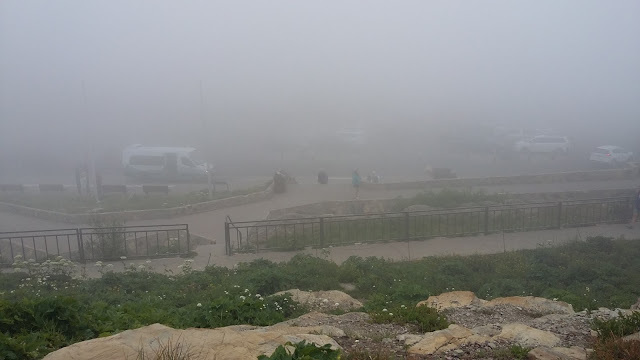 It was in a total white-out fog. The place was over run with people. The parking lot was nearly full. You could barely see 300 feet. And we thought it was crowded. HA!!! 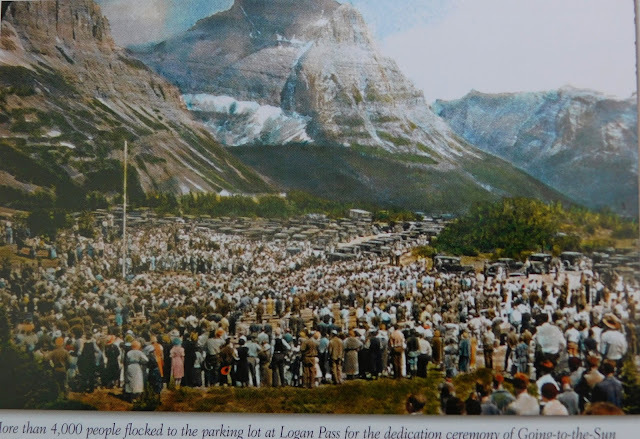 Wrap your head around 4000 people being there when the West Road was dedicated July 15, 1933!!!! Amazing to be on Going to the Sun Road today over Logan Pass...the road builders who help pass along such hard work and beauty to us are real heroes..